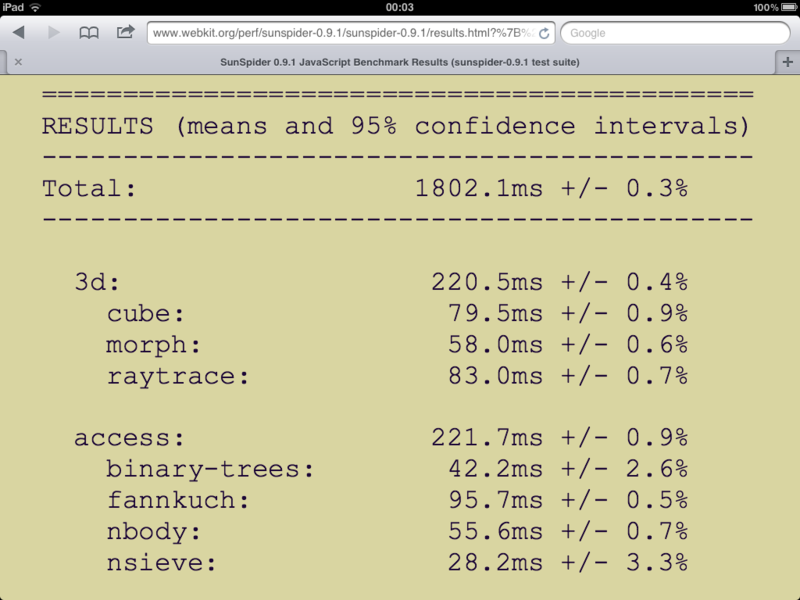 As you can see in the screenshot above, there is absolutely no improvement… at all! The benchmark is completed in the same amount of time iOS 5.0 took. The main noticeable improvement, at least for me in this first day of usage, is in the stability department: in iOS 5 and 5.0.1 it was common to watch Safari close by itself, especially when dealing with a large amount of tabs but with iOS 5.1 things appear to be much more robust. This entry was posted on March 8, 2012 at 14:00 and is filed under Apple, iOS. You can follow any responses to this entry through the RSS 2.0 feed. You can leave a response, or trackback from your own site.